Dulverton is our nearest town at approximately 5 miles , with a small Co op supermarket open 7 days a week, Post Office, 3 pubs, a wine bar, hardware shop (which stocks some smaller camping items), a fruit and veg shop, a fish and chip shop, tearoom,outdoor pursuits shop, an antiques shop, a deli, a chemist, pet shop, ladies clothes shops, book shop, farm shop and several ‘lifestyle’ shops, as well as the vets and Doctors/dentists practices. There is also a National Park information centre in the town with walking and cycling maps, lots of local information and useful books. 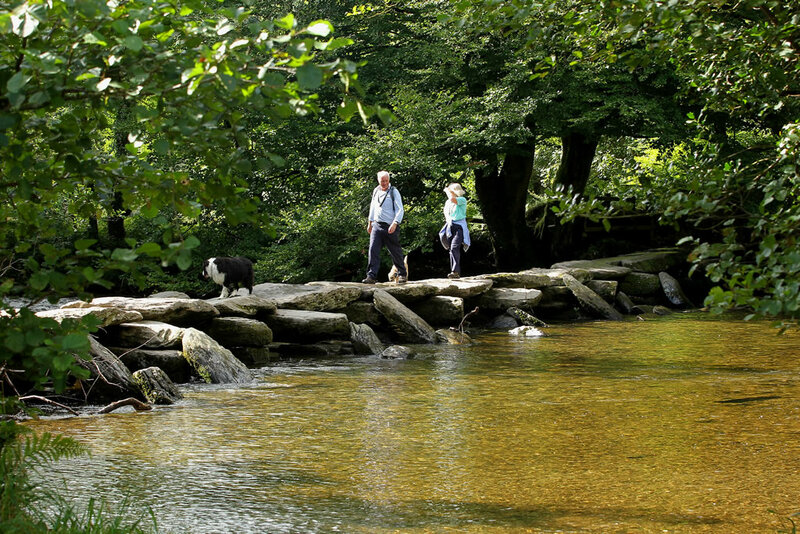 A visit to Tarr Steps, the longest clapper bridge in the country, is a must. Situated on the River Barle the Steps make a good starting point for a walk along the river bank or a halfway point for a walk from the campsite. A visit to Liscombe Ice Cream Parlour on the way is a delicious treat. The Exmoor coast is well worth a visit with its attractive towns and villages and many varied beaches as well as the coastal footpath. Visit the tiny church at Culbone near Porlock or the picturesque harbour at Porlock Weir. At Lynton and Lynmouth travel on the cliff railway and learn about the famous flood of 1952. At Combe Martin visit the soaring cliffs or the dinosaur park. There are beautiful sandy beaches at Woolacombe and great rock pools at Putsborough. There are several National Trust properties in the area including Dunster Castle, Dunster working watermill, Holnicote Estate, Heddon Valley and further afield Arlington Court, Knightshayes Court and Coleridge’s Cottage at Nether Stowey. The Doone Valley and Oare Church are famous due to the book Lorna Doone written by RD Blackmore, so for those who have read the book a must to visit. The West Somerset Railway is a steam railway that runs between Minehead and Bishops Lydeard and is a very popular outing. The dark Exmoor skies are excellent for star gazing and our Campsite featured in the National Park’s Year of Astronomy in 2009 when we had several astronomers and telescopes on the site and had some fantastic views of the stars one night in July. There is a variety of fishing available in the area- river for brown trout or salmon, reservoir, sea and coarse as well as tuition or fishing for rainbows at Exe Valley Fishery. For details contact Lance Nicholson in Dulverton. Horse riding is a popular activity and an ideal way to explore and get close to the wildlife. All abilities are catered for at a variety of stables from beginners to the capable rider. 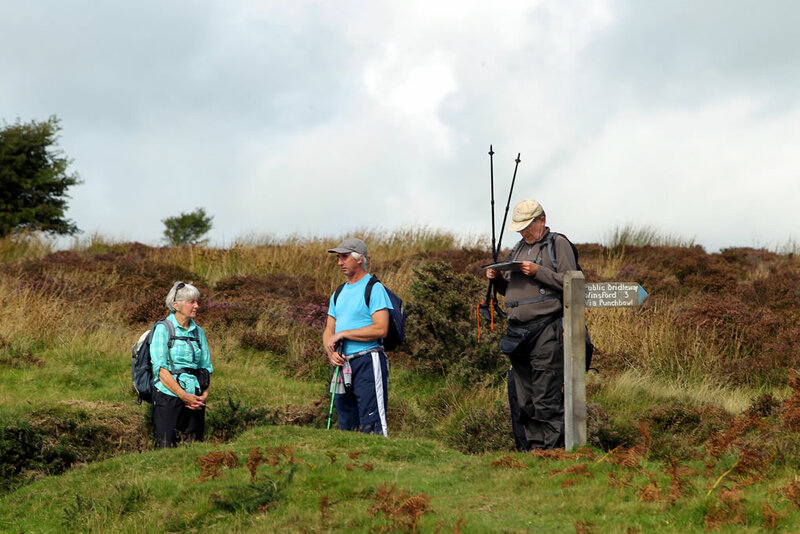 Walking-as well as doing your own thing , the National Park organises Warden accompanied walks details of which can be found in The Exmoor Visitor, a free newspaper full of information which we supply in our information room. 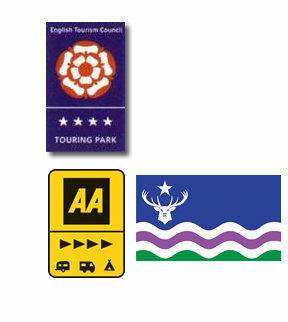 Details can also be found on the National Park website. In spring and autumn there are walking festivals to participate in. The Exmoor Pony Centre is approximately 3 miles from the campsite and here you can meet Exmoor ponies at first hand and perhaps go for a ride on one. The centre promotes these versatile ponies and works to ensure a safer future for this endangered breed. 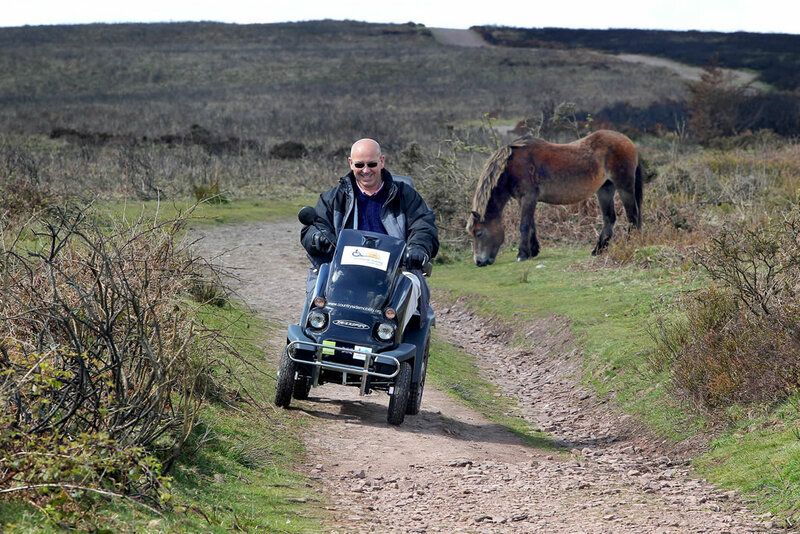 (Adults as well as children can ride these ponies) For more details contact the Exmoor Pony Centre. Exmoor has various safari operators with whom you can travel in a 4x4 and your driver, using their local knowledge , will find the elusive wildlife and breathtaking scenery. 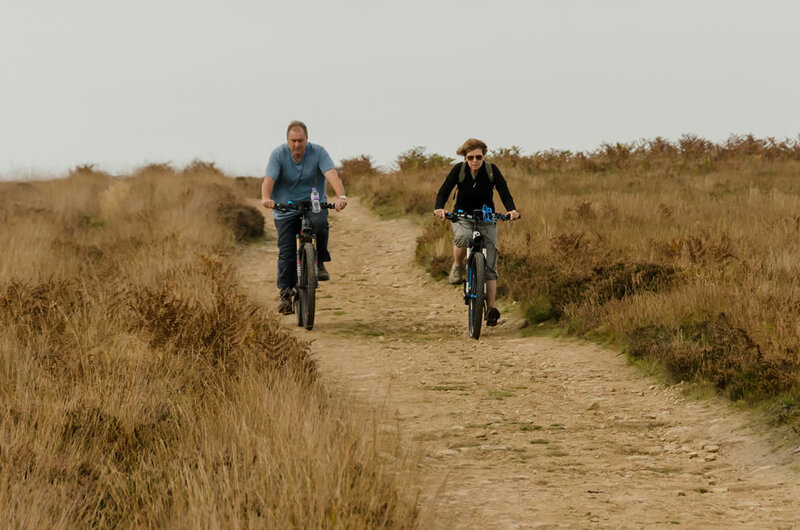 Cycling is an energetic pursuit on Exmoor, but for those who enjoy a challenge there is plenty of scope. 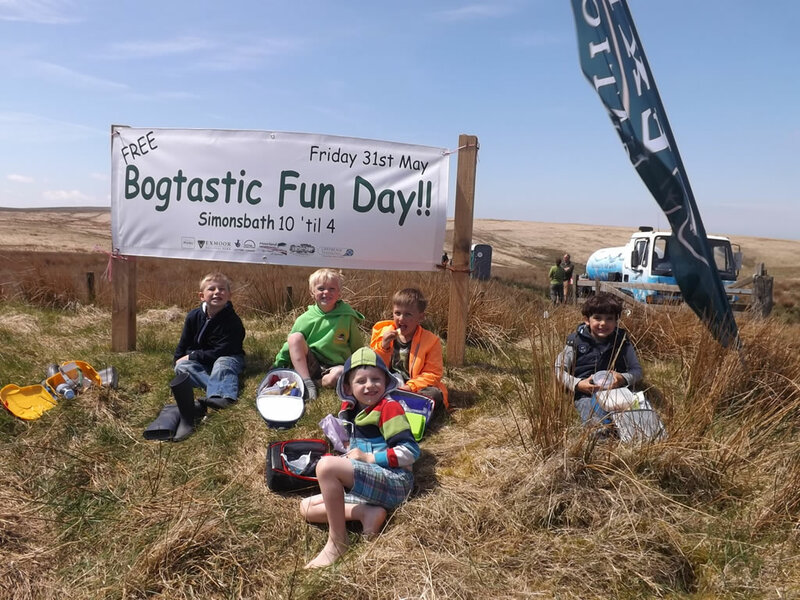 The Tour of Britain has been passing through Exmoor since it started and over Winsford Hill in 2009 and you too can follow the route. There is plenty of off road cycling to be done as well as road routes and the Tarka Trail. There are various cycle hire outlets in the area, and Pompeys Cycles in Minehead provide repairs, shop and routes. Wimbleball Lake offers fishing, canoeing, rowing, windsurfing and sailing as well as a lovely walk around its edges. 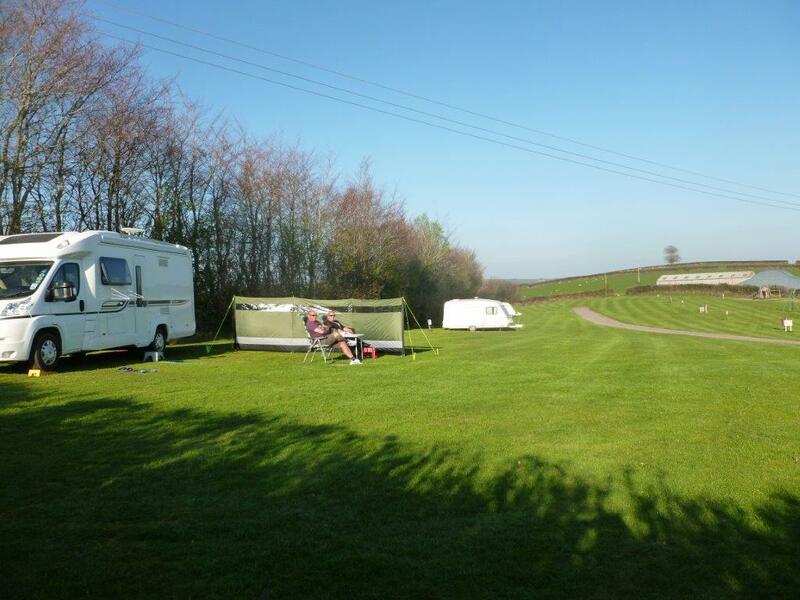 It also hosts an Iron Man half triathlon for which we have provided camping accommodation. The Exmoor Zoo and Tropiquaria both offer more exotic animals, birds and reptiles. The Exmoor Falconry and Animal Farm also offer hands on experience with hawks. Throughout the season there are many local events to join in and enjoy…walking festivals, point-to-points, village fetes, horse and pony shows, agricultural shows, the Golden Horseshoe Ride, food festivals, craft fairs, regular markets and myriad other entertainments. Our information room has many brochures and leaflets to give you an idea of what is available as well as the Exmoor Visitor magazine but should you wish to find out more before you arrive the website www.everythingexmoor.co.uk should be able to help.